A chewproof dog bed is just as comfy and cosy as a much less durable design - and will save you money and hassle in the long run. 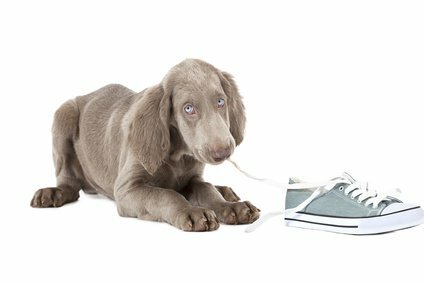 In fact, it's definitely on the list of those 'can't live without them' products if you have a puppy.... or even an adult dog who STILL likes to destroy everything he can get his teeth into! 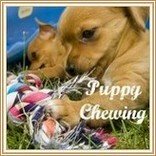 Chewing comes naturally to puppies, in fact it's one of their very favorite hobbies, and if this is your first-time puppy you'll probably be surprised at how much damage those little teeth can do. 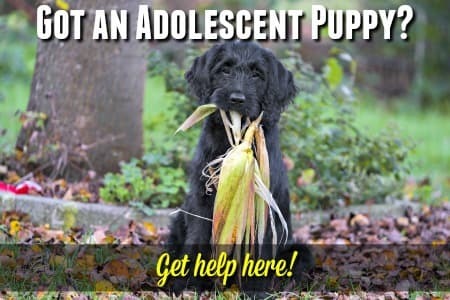 Some breeds never seem to grow out of the desire to chew stuff up (especially those bred to herd or hunt), and this can make it impossible to find them soft toys, bedding, or dog beds that aren't destroyed within hours (if not minutes!). If you own one of these dogs, or are a new puppy parent, the dog beds on this page could make your life a whole lot easier. There is a fairly limited range of styles and designs available, but the chewproof beds that do exist are usually excellent quality with top-notch materials and craftsmanship. 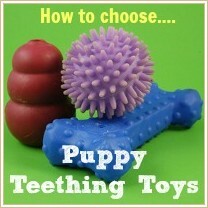 Choosing one with a super heavy-duty, tear and chew-resistant fabric is vital. There are several types of material that fit the bill here, these include cordura nylon, ballistic nylon, heavy-duty vinyl, and crypton. Added benefits of these chew-resistant fabrics are that they are often easy to clean, water-repellant, fade-resistant and may be antimicrobial as well. 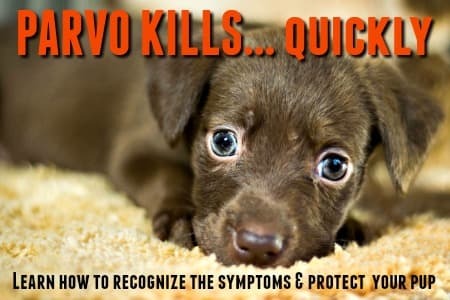 These features are just another reason why they're so wonderful for puppies. Any chewproof dog bed featured on this page has been designed to withstand much more chewing and/or tearing than your average dog bed, but if your dog is strong and determined enough he will most likely be able to damage it..... given enough time and effort. Luckily, the products on this page usually come with a warranty or a replacement guarantee - so even if your little one (or BIG one) does manage to tear up his new sleeping spot, you can replace it quickly and easily. I'd recommend keeping an eye on the structure of the bed and watch out for small holes or rips and remove the bed before it is totally destroyed, or your pet ingests the outer material or filling. For elevated dog beds that are considered to be 'chew proof', the frame needs to be extra-durable and the way in which the fabric is attached to the frame should be carefully scrutinized. The manufacturers of the most popular chewproof dog beds include Karanda, Crypton and K-9 Ballistics. 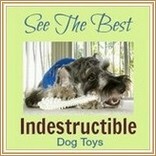 You won't find these at your local big-name store or pet superstore, but most of them are available online. Check out the product reviews below plus get more information on the companies themselves and links to their full range of products. I hope you'll find everything you need to make the right choice, right here. Crypton beds are made from the only textile in the world that is completely stain, moisture, mildew, bacteria and odor-resistant! 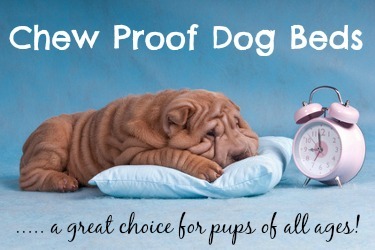 It's a patented process and results in about the closest thing to a TRULY chewproof dog bed that you'll find. 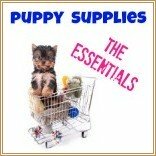 Soft and comfortable, yet hygienic and easy to clean... perfect for puppies or older dogs who have incontinence issues. Crypton’s EPA-approved Disinfectant & Deodorizer can be used to keep these beds clean, deodorized and fresh-smelling every day. This William Wegman design is classy and stylish. A comfortable, attractive, easy to clean and chew-proof dog bed that will stay looking good for a long time! Also available in S - 27" and M - 36"
Kuranda beds have a patented, double-strength, furniture grade poly-resin frame which is extremely strong and resistant to damage from your pup's teeth, or from the sun, rain, chemicals and more. The fabric is usually either ballistic nylon or cordura nylon, both of which are very durable. Unique construction design keeps fabric edges protected within the frame itself - leaving no loose ends to be nibbled on! These chewproof dog beds come in one standard design, but with a variety of fabrics and colors and a choice of frames. Lots of sizes too, so there's a bed to fit every puppy or dog. Easy to strong, stain-resistant, easy-clean, fast drying fabrics won't trap loose dog hair.